As many of you are probably already aware, my daughter has and still suffers from eczema. Lately, it has not been bad but during the summer months it gets pretty awful for her. Eczema is a skin condition that plagues people of all ages, but mysteriously, it can be discovered in infants and can continue right up through toddler hood. When my daughter first started showing signs of this, I though it was ringworm. But, the pediatrician informed me that it was in fact eczema. I thought that I could just treat it once and it would go away...how I wish that was the case. She is now three and still suffers from mild cases every now and again and I am still searching for the product that will relieve her symptoms without nasty chemicals and additives. (Which is not an easy task). Recently, while browsing the Internet I ran across a company called Sister Sky and lo and behold, one of their products is a lotion specially formulated for eczema! I knew I had to connect with this company and find out more. 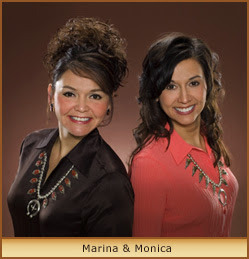 This company was founded by Native American sisters, Marina and Monica (aren't they gorgeous?!?). Sister Sky's mission is to create natural products inspired by herbal wisdom of Native American culture. Native Americans have rich and meaningful plant traditions respecting nature's own healing herbs from the Earth. Honoring these traditions, we formulate our products with a guiding principle: Infuse botanical ingredients to enhance health and wellness. Sister Sky products share Native American herbal wisdom to a worldwide audience in an authentic and respectful manner that promotes harmony, balance, education, sustainability and cultural sharing. I have always had a deep appreciation for the Native American people. Their creativity and natural approach to healing has stood the test of time and they continue to impress with their knowledge and product contribution to our society. So, for this review I was sent a bottle of Kevin's Cure Body Lotion. As soon as I opened the box I could smell it and knew it would be a wonderful lotion!! This lotion was formulated after Monica's son, Kevin, was born with severe eczema. While Monica was searching for a moisturizer that would work for him, she could not find anything to help. So, she developed this lotion to comfort and heal his skin. Some of the effective ingredients in Kevin's Cure Lotion are Yarrow (purifies and heals), Chamomile (calming and anti-irritant) and Oregon Grape Root Extracts (anti-inflammatory and anti-itch). I especially love the Grape Root Extract as it is anti-itch. If you have ever had eczema or watched someone with it you will notice that they are constantly itching. This is a huge deal for Hannah and I am really excited to finally give her something natural to relieve that itch. When I tried this lotion I was immediately drawn to the scent. It is smells so comforting and soothing (which is good for me as I have not been well with morning sickness) and really is very gentle. It is light and moisturizing, but not greasy. If there is one thing I cannot stand it is greasy lotions. My hands were so soft after using Kevin's Cure and I was sooo in love with the scent!! Along with Kevin's Cure (which is available for $12.00), you can also purchase the partnering Kevin's Cure Body Wash (retailing at $10.00) as well. What a great combo this would be! Sister Sky also carries lotions, shampoos, conditioners and various other beauty products...which is awesome! So, in my opinion, Sister Sky is an impressive company. I am totally in love with Kevin's Cure and cannot wait to see what my daughter thinks! She loves any kind of lotion and so this will be a real treat for her. The ingredients are wonderfully healing and will soften your skin to perfection. I would definitely recommend this company to you and hope that you will take some time and peruse their website...get to know them, they will be just what you are looking for in natural and soothing products! Visit Sister Sky and then come back here and tell me which product you would love to try. :) You do not have to be a blogger to enter, but you must have a valid email where you can be reached should you win. If you do not leave an email address, it must be where I can easily find it. This giveaway is open to US residents and will end 11/14 at 11:59 pm EST. The winner will be chosen using random.org and will be notified by email. The winner will have 48 hours to respond, or another winner will be selected. 1. "Like" Sister Sky on Facebook. 2 entries, so 2 comments. 2. Follow Sister Sky on Twitter. 2 entries, so 2 comments. Disclaimer: I received no monetary compensation for this post. I did receive free Kevin's Cure Lotion for review purposes. All quotes and stock photos are from the Sister Sky website and email. Prize is being provided and shipped by the sponsor. All thoughts and opinions are 100% mine. I would love to try Cedar & Citrus Lotion. I "Like" Sister Sky on Facebook. I'd like to try the Cure lotion because my eczema is driving me crazy! I want to try it ALL - but the Sweet grass products sound great - love the travel kit!!! ((1955nursehjc4me(at)myway(dot)com)) TY! I'd like to try the Cedar & Citrus Body Wash. I'd love to try the Sweet Grass Body Wash. I would love to try the sweet grass body wash!! I would try the Sweet Grass Body Bar.